Naomie Harris has been mixing things up lately when it comes to her style and for the most part, it paid off. The nominee attended the 23rd Annual Screen Actors Guild Awards this evening(January 29th) at the Shrine Auditorium in LA. 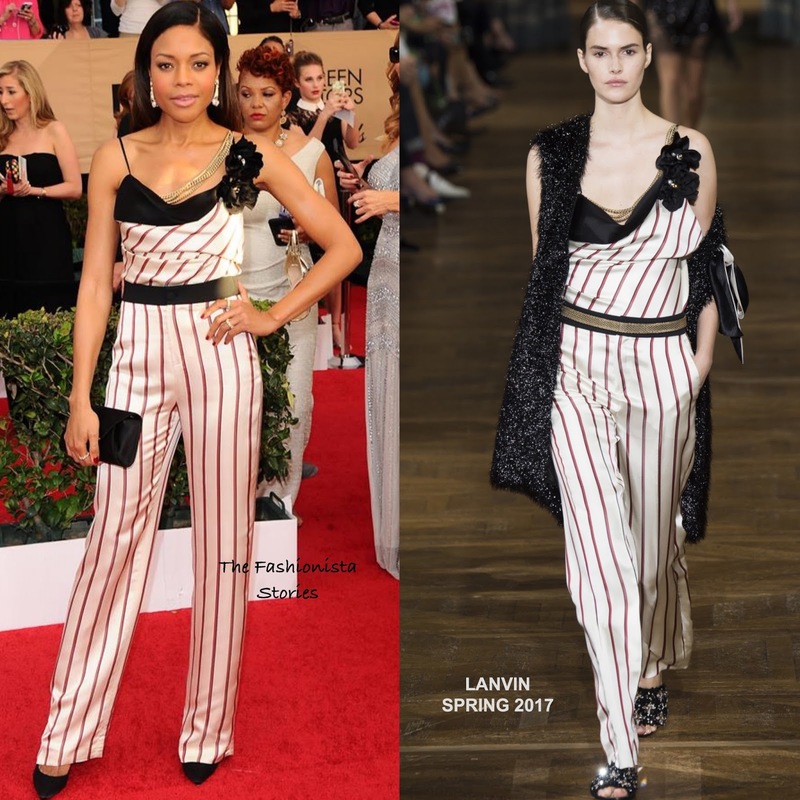 For the occasion, she wore a LANVIN SPRING 2017 white, red & black silk stripe jumpsuit with a satin floral chain draped top and a black & gold belt. This is a somewhat difficult collection and the few times that we saw it on the carpet, it was a miss. However despite those creases, I thought Naomie looked great in this jumpsuit. She finished up with black accessories, straight off-the-shoulder tresses and minimal make-up. What do you think of Naomie's look? She's always so unpredictable. I love it! Nope, didn't like this choice at all, she could've done more than pj-like stripes. I like it except for the chain detail. Looks superfluous.